According to a February 2015 news release, the World Health Organization has reported that about 1.1 billion teenagers have been found to be at risk of developing hearing problems. The primary reason attributed to this alarming statistic is the frequent use of Ipod, MP3 players and smart phones, and also the high exposure to noise pollution at public entertainment facilities like discos or nightclubs. 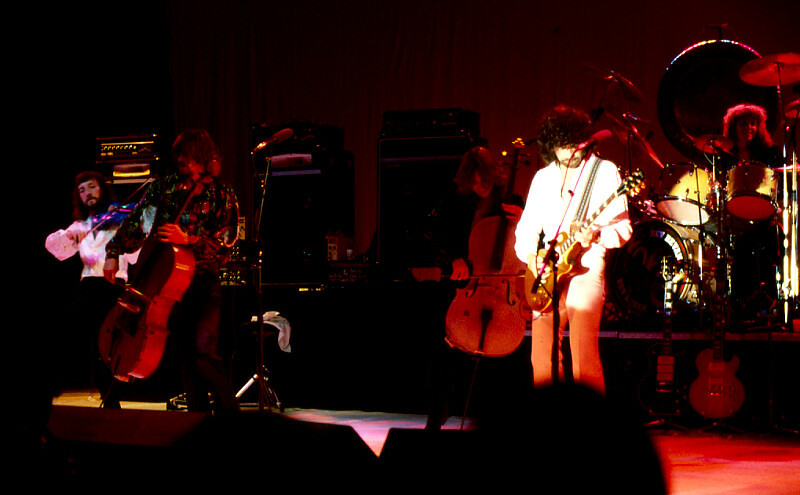 Musicians are also at increased risk of hearing loss. WHO’s report has particularly singled out the 12-35 years age-group from middle-class and affluent families who routinely listen to loud music are developing hearing loss. By definition, any individual exposed to over 85 db of noise for more than 8 hours at a stretch is a high-risk individual for hearing loss. Typically during New Year parties or other similar festivities, sound levels are very high before people realize, they may experience a sudden numbing sensation in the ears followed by a deafening silence! This experience differs from person to person, but teenage party-goers frequently complain about hearing problems after attending a rock concert or a whole-night party. Many of these teenagers who complain about temporary hearing loss from time to time may develop serious problems later in their lives, as indicated in Noise induces hearing loss. Teenagers from low-income groups working at mines, construction sites, oil drills are at same risk of developing hearing loss because of the nature of their occupational environments. What are some practical solutions to reduced music related damage? Protect your ear from the new year’s noise suggests some practical ways to avoid hearing problems. Wear ear plugs. This solution is recommended for young, professional musicians too. Custom-fit musician earplugs can be used. The deafening volumes of music played at nightclubs, discos, and parties are simply exposing the young adults to life-threatening sound pollution, which will sooner or later, become an uncontrollable malady of teenage lifestyle all over the world. If any teenager experiences noise-induced irritability, ear block, buzzing, or ringing in the ear, he should immediately consult an ENT Specialist and Hearing test by audiologist is to be done. Though general home remedies do not replace proper diagnosis and medical management but it helps as supportive treatment in faster recovery and reduces sleepless nights. It works in lessening patient’s discomfort. Take balanced diet with plenty of vitamin and minerals to boost defense mechanism. Vitamin c and zinc supplements. Hot soups like tomato soup, chicken soup works wonder in thinning of secretions. Black pepper, basil leaves, cloves and ginger boil with water and drink at night time; it’s soothing and helps in mucus coming out. Honey is age old miraculous natural cure from cough. One pinch of turmeric with 1 cup warm milk helps in easy expulsion of mucus. Researches show ginger, garlic and onion has medicinal properties and helps in cold and cough. Hyperacusis is a condition characterized by over-sensitivity to everyday environmental sounds which may be unpleasant or painful to the ear. Hyperacusis usually results from damage to the our auditory (hearing) system. It can be due to damage to the brain or the neurological system, In these cases, there is processing problem specific to how the brain perceives sound. . Individuals with hyperacusis have difficulty tolerating normal sounds which are not loud to others such as sound from running water in the kitchen sink, ringing phones, shutting doors, shuffling paper, placing dishes on table, TV sound etc. 40% of patients with tinnitus complain of mild Hyperacusis and around 86% of Hyperacusis sufferers have tinnitus. Tinnitus is the perception of sound within the human ear such as ringing sensation, when no external sound is present. Hearing Loss with low tolerance to sound is different term known as recruitment, In Hyperacusis usually hearing is normal. Hyperacusis may be caused by overexposure to excessively high loudness levels, head injury, stress, and genetic differences or by abnormal responses in the ear muscles, which protects the ear from loud sounds. Other causes may include adverse reactions to medicine or surgeries, chronic ear infections, autoimmune disorders, migraine and some forms of epilepsy. In cochlear Hyperacusis, the symptoms are ear pain, annoyance and general intolerance to everyday sounds. In some conditions, wherein the vestibular system is involved is called as Vestibular Hyperacusis. In this condition, the sufferer may experience feelings of dizziness, nausea or a loss of balance when sounds of certain pitches are present at certain level. Anxiety, Stress and Phonophobia (fear of loud sounds) may be present in Hyperacusis. Sufferer may develop avoidant behavior in order to avoid a stressful sound situation or to avoid embarrassing themselves in a social situation which involves noise. This might lead the sufferer stay away from the society. Understanding the mechanism of Hyperacusis is often challenging. People who develop Hyperacusis should have a thorough Evaluation by otorhinolaryngologist (Ear, Nose and Throat doctor) and a detail Audiological tests to determine the state of the Auditory- Vestibular system. Although a corrective medical or surgical approach for treating Hyperacusis is not available at this time, there are therapies that can help to reduce fears and anxieties towards sensitivity of sounds under guidance of an ENT Specialist and supervision by a Clinical Audiologist. Antidepressant medicines and treating migraine may help. Retraining therapy consists of counseling and acoustic therapy. The aim is to reduce the patient’s reactions to Hyperacusis. Counseling is designed to help a patient better cope, while acoustic therapy is used to decrease a patient’s sensitivity to sounds and to teach them to view the sound in a positive manner. This treatment approach uses the sound of music or broadband noise or music produced via a body-worn system or a small device that looks like a hearing aid, which produces steady and gentle sounds. The theory is that, by listening to a sound at a low level for a certain amount of time each day, the auditory nerves and brain centers will become desensitized and able to tolerate normal environmental sounds again. Constant use of earplugs/ earmuffs is not recommended because constant or frequent blocking of the ears may further alter the brain’s calibration of loudness which may lead the brain to further restrict its comfort range for sounds. What to do in hyperacusis ? Infection by contagious viruses and bacteria are reasons of majority of throat infection. Virus infection: Viral infections such as cold, flu, measles, chicken pox and infectious mononucleosis are often associated with throat infection . There could be runny nose, fever, muscle aches and swollen glands in the neck. Bacterial infection: Strep throat caused by streptococcus bacteria. It is treated by antibiotic as same bacteria can cause scarlet fever or damage heart valves and kidneys. Sending throat swab for bacterial culture is the only way to confirm diagnosis. Tonsillitis and sinus infection can also cause a sore throat. 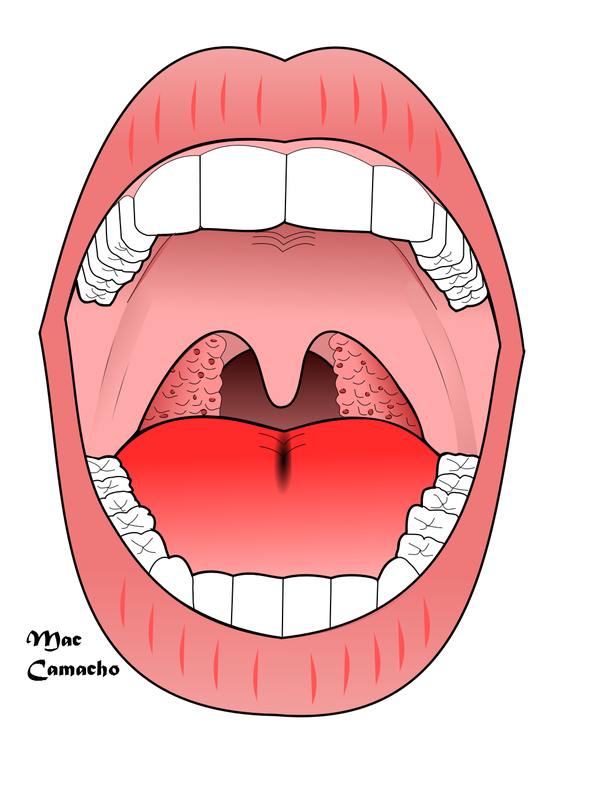 Epiglottitis: Epiglottitis is a dangerous type of throat infection and an emergency condition. 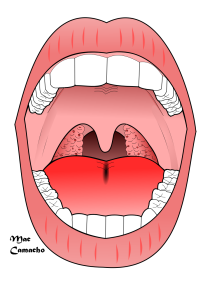 Symptoms like painful swallowing, drooling of saliva, muffled speech and difficulty in breathing are a few of the symptoms indicating that throat pain could be epiglottitis. Allergy to dust, pollen and mold are common causes of sore throats. Irritation caused by dry heat/dry air, smoking, pollutants, chemicals can also result in sore throat. Tumors of the throat and tongue can also cause sore throat along with other associated symptoms, important being hoarse voice, difficulty in swallowing, difficulty in breathing , blood from mouth and weight loss. HIV infection or lowered immunity can also cause a recurrent or chronic sore throat. When to take appointment of an ENT Specialist? Warm soups like tomato soup, chicken soup to soothe throat , avoid too hot and too cold food. If diagnosed as bacterial infection, ENT doctor will prescribe a suitable antibiotic along with supportive medications. Viral infection lowers your immunity thus, making you susceptible to secondary bacterial infection. Thus doctor may recommend antibiotics at some stage of your viral throat pain. My common observation is patients stop using antibiotic as soon as there is slight relief or do not take it regularly in proper dosage. As a result, throat infection may recur. Thus always complete antibiotic course which could be 7-10 days and take in dosage as advised by your ENT doctor. Once your throat pain is relieved by home remedies or antibiotics, you can follow these quick tips for prevention of sore throat-Maintain good hygiene. Wash your hands regularly and keep your napkins, towel and soaps separately, do not share these with the person having throat infection. Earache (or Ear pain) in adult and children is one of the most common reasons for visiting ENT specialist and common reason my clinic gets calls on the helpline during Sundays, nights and other emergencies. The most common cause of ear pain is swelling or infection within the ear itself and diagnosis is simple. However, sometimes the cause is not in the ear, but in remote areas, known as referred earache. Therefore, finding out the cause of referred ear ache is real challenge and requires thorough examination by ENT doctor. Common causes of earache are Outer ear infection (otitis externa), Middle ear Infection (acute otitis media), eustachian tube blockage and impacted wax. External ear infection (Otitis Externa)– Moisture may be trapped inside the canal while bathing or injury may occur in the skin of the ear canal while using ear buds to clean the ear. Consequently outer ear and ear canal infection develops. Further, it may lead to fungal infection of the skin of outer ear. Ear pain of otitis externa worsens on touching the ear and there may be swelling of the ear and blocked ear feeling. Treatment – Outer ear infection is treated with combination antibiotic and steroid ear drops for 7-10 days. If ear swelling is severe a wick/ear dressing soaked with ear drops or ointment is placed in the canal. Oral antibiotics and analgesics are prescribed. Furthermore if pus accumulates, incision and drainage may be required. Impacted wax and foreign bodies– Ear wax is not a disease rather it makes a protective layer in the ear canal. It may be a reason of ear pain; also attempts to clean the wax at home may hurt the skin, as a result ear infection develops. Removal of Impacted ear wax causing obstruction and ear foreign bodies is done by an ENT Specialist by instruments or syringing. If wax is hard then wax-softening ear drops may be prescribed for 5-7 days and ear cleaning is done after wax becomes soft. Eustachian-tube block and glue ear– Eustachian tube connects the middle ear with the nasopharynx. It helps with ventilation of the middle ear and drainage of fluid from the middle ear. Cold, allergy, sinusitis, adenoids or sore throat may cause blockage of the tube therefore resulting in ear pain. Tube blockage creates negative pressure in the middle ear, which in turn leads to fluid accumulation in the middle ear (Glue ear). Subsequently, increasing pressure in the middle ear may cause pain in the ear. Treatment of Eustachian tube blockage is oral decongestants and nasal drops. Antibiotics may be given for glue ear. If the fluid persists for more than 3 months, then a tiny tube (Grommet) may be placed into ear drum. Otitis media– Otitis media is infection of middle ear which often spreads from cold, flu, sore throat or allergy. Treatment -Visit to an ENT clinic is required for proper diagnosis and suitable antibiotics prescription by an ENT doctor. Additionally pain killer, oral or nasal decongestants and antibiotic ear drops may be advised. You can apply a cold pack or warm compresses to the ear to reduce pain. Some safe over the counter pain-relievers can be used to ease the ear pain. Do not use ear buds/q tips to clean the ear. Earache may be because of a myriad of reasons. Most common causes are impacted, wax, minor injury while ear cleaning, Eustachian tube blockage and ear infection due to cold. If Ear pain is severe, continuous or associated with hearing problem, dizziness, headache, fever or is simply unexplainable you should visit your ENT specialist for timely treatment. 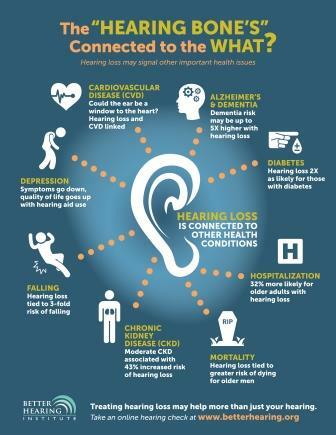 Studies Show that Hearing Loss is Connected to Other Health Conditions. Hearing loss affects baby boomers, Gen Xers and every other age group. And, when left unaddressed, hearing loss affects just about every aspect of a person’s life. Your child performing poor in school! You may have to visit an ENT specialist and Audiologist for his Hearing Test. Even a slight hearing loss in a child is often a reason behind poor performance in class. Most parents and teacher may not be aware of Spectrum of pediatric hearing loss and many years can pass before a student is diagnosed and treated. Sometimes it will be taken as attention deficit disorder or normal childhood behaviour or ignorance. Even mild hearing loss can compromise communication skills and school performance. Children with untreated hearing loss may have lower self esteem, they have tendency to isolate themselves and there is lack of class participation. Have difficulty in understanding complex sentences. There could also be slow vocabulary development and Problem with sentence structure as compare to children with normal hearing. Children may have unclear speech and their speech may be difficult to understand. ENT Specialist can treat some types of hearing loss, (conductive hearing disorder which involves outer or middle ear). 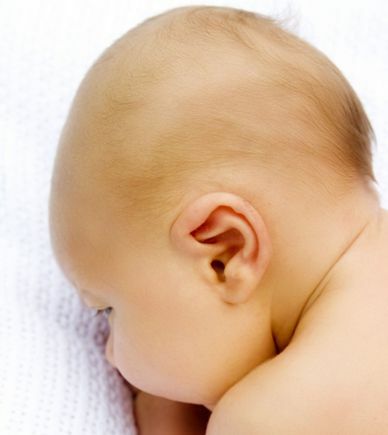 Such as most ear fluid and Ear infections are managed with medication or simple surgery to drain the fluid out from middle ear by putting tiny tubes/grommets. Children who received early intervention at 6 month of age have been shown years later to have language skills similar to those of children of the same age who have normal hearing. Knowing early regarding childhood hearing loss and initiating early treatment- medical, surgical or use of hearing aids /cochlear implants are critical for the development of speech, language, and communication skills in children with hearing loss and shown to increase school performance. Even mild hearing loss can compromise academic performance. And You should visit an ENT specialist to find out condition of external and middle ear and an audiologist for hearing test and to manage hearing problems.